After 42 years at the drums, Barry has established himself as one of Canada’s most unique drumset stylists. 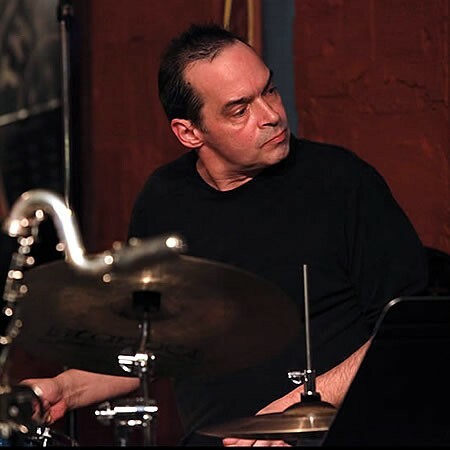 Since leaving York University’s music program (and studying drumset with Stan Perry & Pete Magadini) Barry has gone on to work with some of Canada’s finest musicians, lead his own groups, accompany international artists, and has been featured on over seventy recordings, including 18 as a leader/co-leader. The Barry Romberg Group won the Alcan Jazz Competition (central region) in 1990; Barry won a Juno Award in 1991 for his participation in Brian Dickinson’s “In Transition” as well as eleven Juno nominations; from 2001 to 2012; with the likes of, Micheal Occhipinti, Chris Tarry, Nojo, Creation Dream, The Sicilian Jazz Project, Kirk Macdonald small group twice, the Kirk Macdonald Jazz Orchestra and Al Henderson.